Bulgogi is a Korean dish that usually consists of marinated barbecued beef, although chicken or pork may also be used. 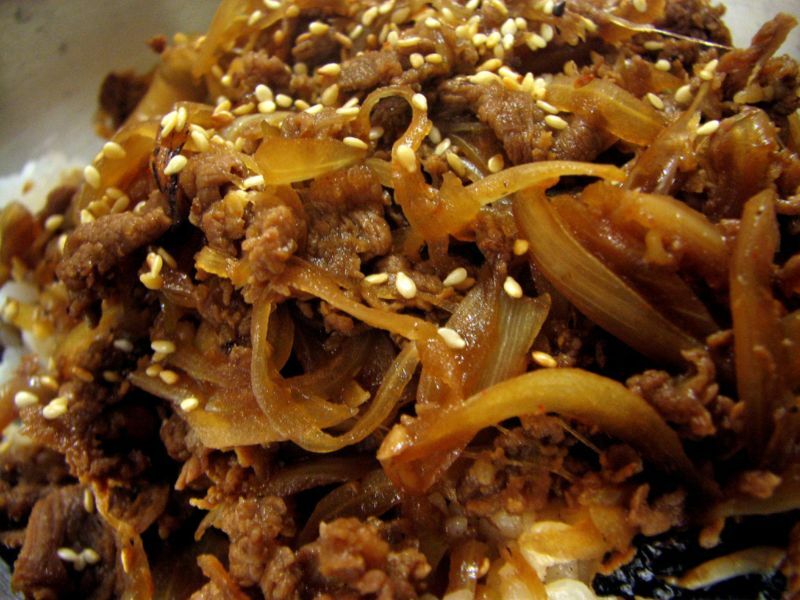 Bulgogi is made from thin slices of prime rib, sirloin or other prime cuts of beef. The meat is marinated to enhance its flavor and tenderness with a mixture of soy sauce, sugar, sesame oil, garlic and other ingredients such as scallions or mushrooms, especially white button mushrooms or shiitake. Sometimes, cellophane noodles are added to the dish, which varies by region and specific recipe. Bulgogi is traditionally grilled, but pan-cooking is common as well. 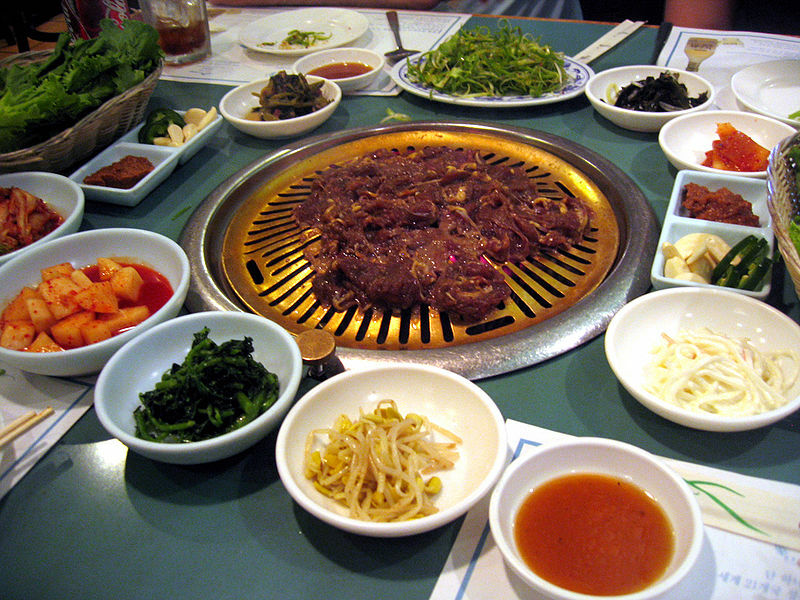 A practice common at Korean barbecue, whole cloves of garlic, sliced onions, and chopped green peppers are often grilled or cooked at the same time. This dish is sometimes served with a side of lettuce or other leafy vegetable, which is used to wrap a slice of cooked meat, often along with a dab of ssamjang, or other side dishes, and then eaten as a whole. Bulgogi literally means "fire meat" in Korean (this refers to the cooking technique—over an open flame—rather than the dish's spiciness). The term is also applied to variations such as dak bulgogi (made with chicken) or dweji bulgogi (made with pork), although the seasonings are different. There is a bulgogi fast-food hamburger sold at many Korean fast food restaurants. The hamburger patty is marinated in bulgogi sauce and served with lettuce, tomato, onion, and sometimes cheese. It is similar to a teriyaki burger in flavour.